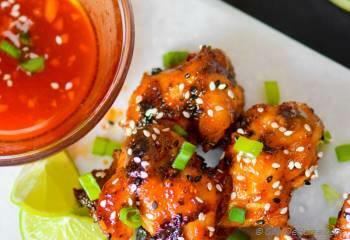 Not-Fried, Crispy, Low-Fat, Sweet 'n Sour Chicken Wings!! 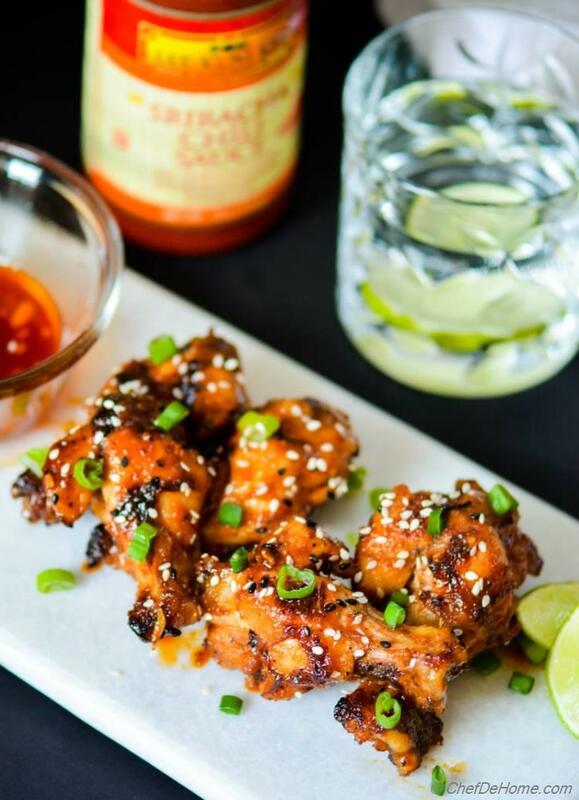 Sweet and spicy, lip-smacking, tasty glazed wings with hint of honey and everyone's favorite condiment - Sriracha!! 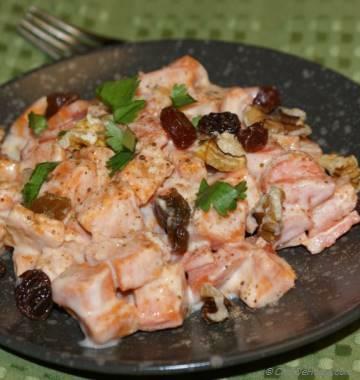 Does this sound like winner game day appetizer? 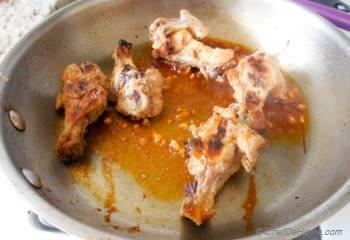 This is one of favorite way to eat wings in my home! 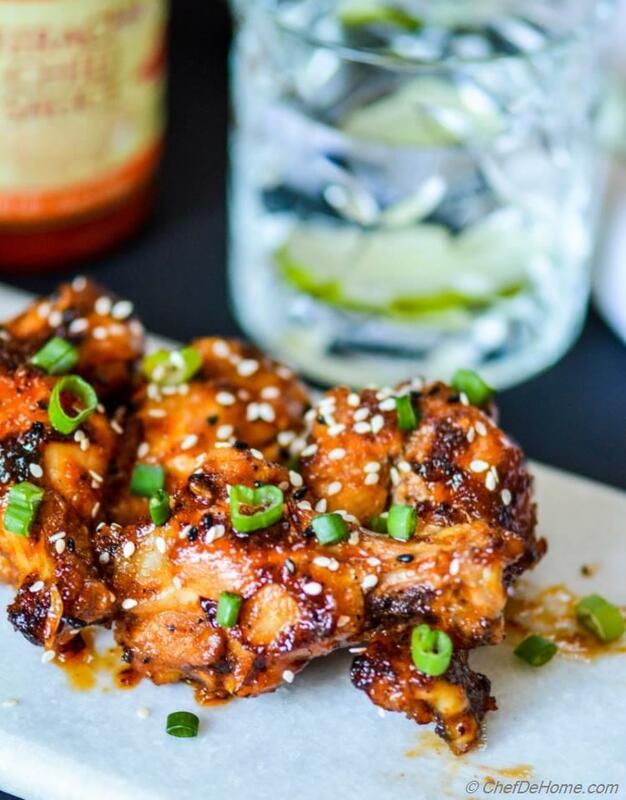 Sweet and Spicy, broiled (not fried) Chicken Wings, with sweetness of honey and sharp spicy-ness of sriracha! A mouth-watering appetizer for heat seekers and wing lovers! 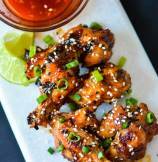 Wings are one favorite appetizer of everyone in my friends and family! And I'm always looking for inspirations to cook a different flavor of wings! 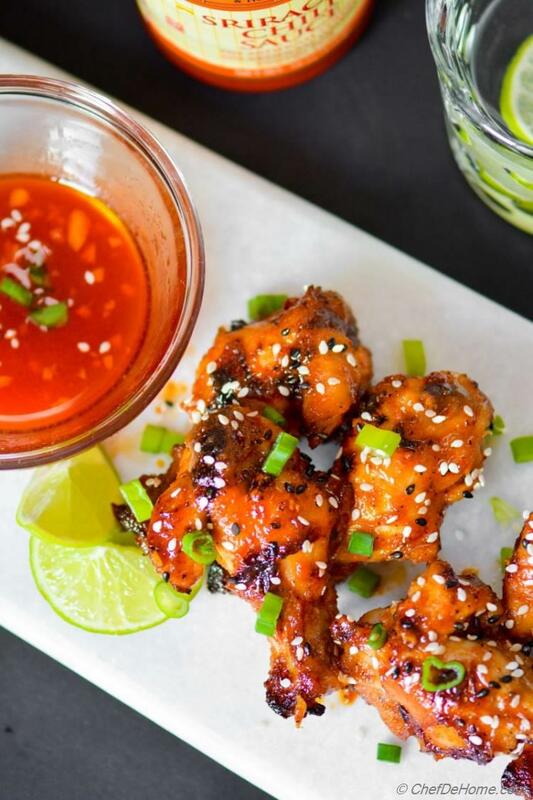 Like, today's Honey Sriracha is inspired from famous honey-sriracha chicken from a local Asian eatery's menu! I really love the combination of sweet honey and spicy-tangy sriracha sauce. 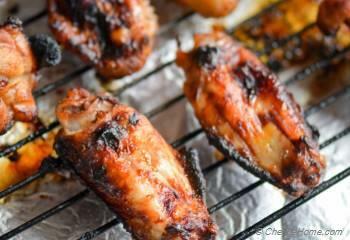 Honey not just gives mild sweetness to these wings, but also helps getting a beautiful caramel-color glaze! looks mouth-watering! Isn't it? No-kidding, this sauce, you can double or triple the recipe. Just keep refrigerated until ready to use. Then use it many ways. 1) Cook honey-sriricha glazed chicken for easy weeknight dinner with some rice or butter noodles. 2) Saute some tofu and rice in this sauce for a delicious and hearty lunch! PS: Also, chicken wings are broiled in oven, so active time to perch on stove is almost nothing and no-deep-frying also comes with promise of very-less-oil-calories! And before I end the post and forget my gluten intolerant friends...., yes my friends, this appetizer is gluten free. The Sriracha Hot Sauce is labeled Gluten Free and we have not used any other gluten ingredient. Can't Find Sriracha? 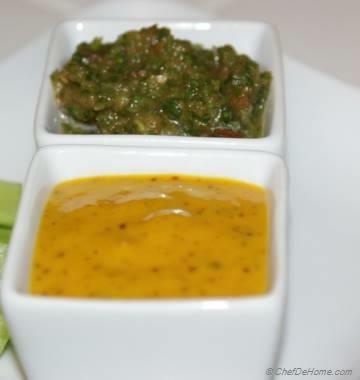 I would say use an Asian sauce, fine pureed, should be a "hot" sauce, with good punch of garlic and chilies. Like Chicken? Here some more lip-smacking Chicken Recipes! Total Time 35 minutes Prep Time 10 minutes Cook Time 25 minutes Difficulty Easy Yields 12 Chicken Wings Serves 3 Notes No. of servings depends on serving size! 1. 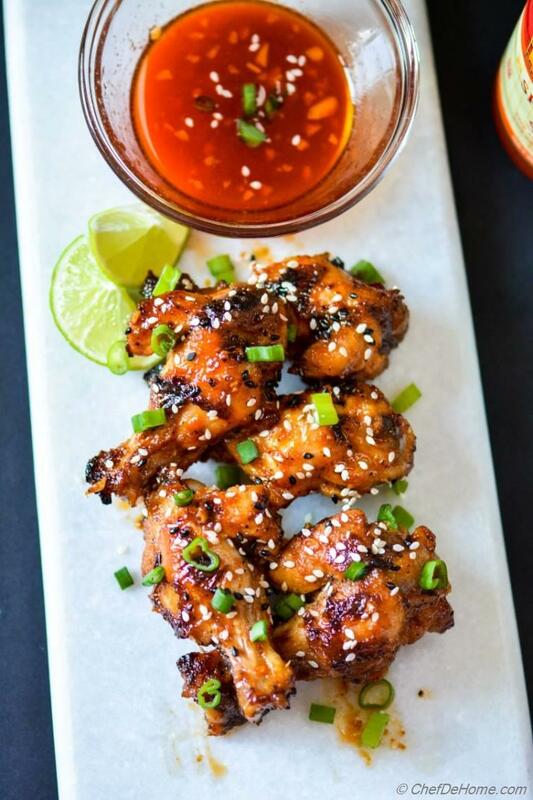 Honey Sriracha Hot Sauce - Combine, Honey Sriracha Hot Sauce ingredients (except salt and butter) in a small sauce pan, mix to combine melted honey in sriracha. Add butter and remove from heat. 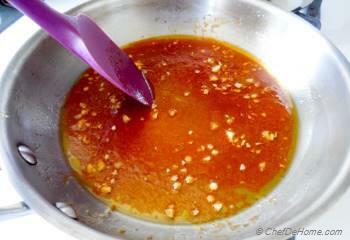 (30-40 secs) Stir to melt butter in the sauce (off heat). Taste and adjust salt. Set aside. 2. In a small bowl, add chicken wings, add seasonings - salt, black pepper, lemon juice, oil, and garlic powder. Coat to combine. On a sheet pan, place a grilling rack (or a cookie cooling rack), coat with oil spray. Place the wings on rack, keeping some spacing in-between. Broil in oven, for 20 minutes, until wings are fully cooked through. For even crispy skin, I like to turn the wings, up-side down, half-way through the cooking. 3. When wings are cooked, in a wide saute pan, add 2/3 of the sauce, with heat on, add cooked crispy wings and coat wings in sauce with tongs or spatula. 4. Cook for 3-4 minutes on high heat until honey has started to caramelize and wings have a glazed coating. Keep stirring quickly or otherwise hot pan will burn the honey. 5. 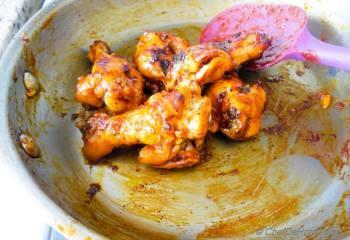 Transfer glazed wings in a serving platter, drizzle remaining sauce over the top. Garnish with scallions, and sesame seeds. Serve and enjoy! Elsa, thanks for such sweet words. I'm glad you enjoy ChefDeHome's recipes. Thanks for taking time to leave such wonderful feedback. Anu, I'm sure your husband will like the flavor! do try and let me know! thank you so much for stopping by! Padma, hanks! you know, I will not survive if I don't eat sweet and sour! hahaha I'm sure you will like it! do try! I love the sweet and spicy combo once in a while:)This is a must try for me:)This is totally my kind of food:9I'm loving it!! Savita these wings sound so delicious!! Great looking pictures too! 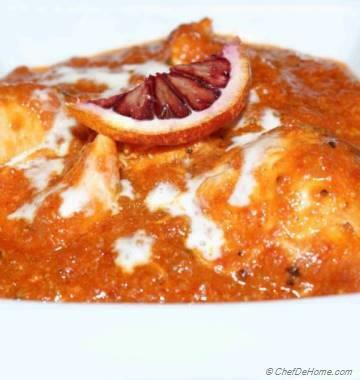 Brilliant recipe, Savita! 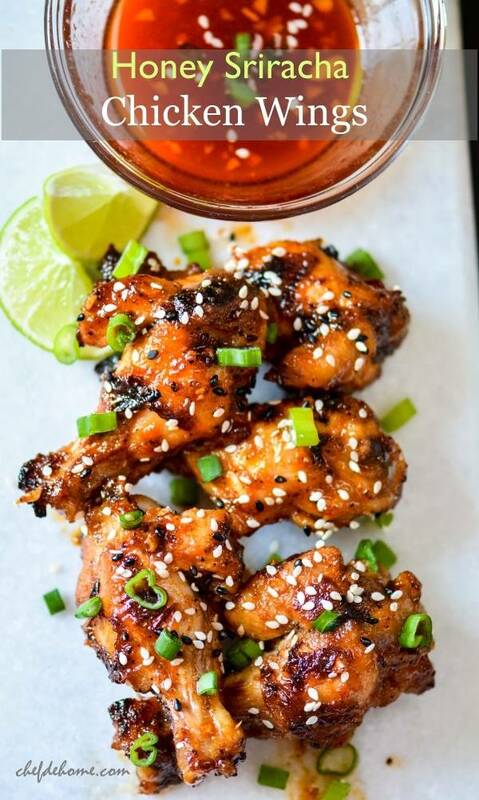 I love the sweet and spicy combination, and these wings sound absolutely delicious with that sauce. I love how you've broiled them, too! A great idea, and we'll definitely be trying this soon! It's not that this recipe sounds so delicious, also your photos are just amazing. Thanks for sharing. Gayle, thanks! Honey does compliment sriracha pretty good! These wings looks delicious! Love the touch of sriracha and honey! Keri, thanks! Trust me! Our love for Sriracha is mutual!! These wings look fantastic! 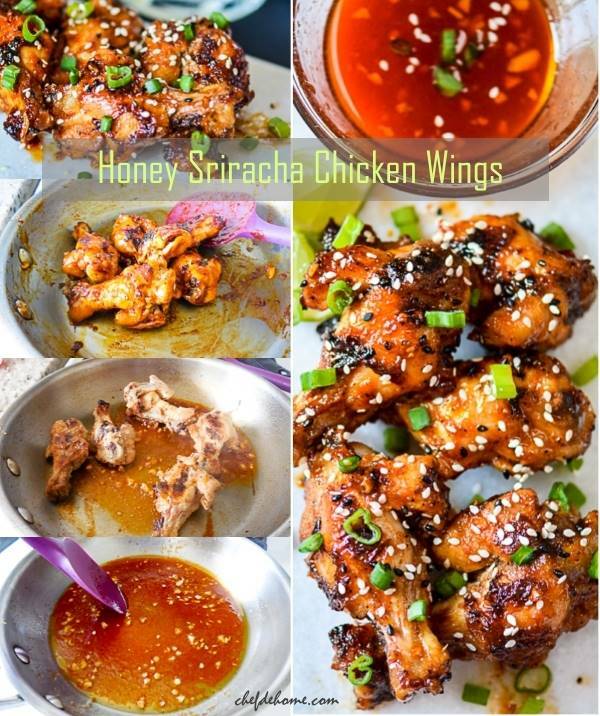 Love the honey sriracha combination! Pinned of course! Dannii, thanks! I too have developed taste for it in past few years and I love it! Honey really complements the taste of Sriracha! This really does sound incredible. I recently discovered sriracha and I am hooked on it. It's so good with honey too.